There is a lot of misconceptions around the Life of a Fitness/Class Instructor…..the majority of people think because you are a Fitness/Class Instructor then life is all rosy and that we are perfect and eat perfect and don’t need to worry about our weight and how we luck…….OMG how wrong is that! A lot of people also expect that all Fitness/Class Instructors should be size 8 skinny minnies wearing crop tops……oh please as if! Yes I love my job, I love teaching but the Life of a Fitness Instructor isnt as glamourous as it seems…..I get a lot of “easy for you just teaching a few classes day” or “You get to exercise and get paid…lucky you” or even better “ you must be able to eat what you want with all the classes you do” and the other hand when someone once said “GOD you should be skinny the amount of classes you do”….. The Life of a Fitness Instructor is full of fun. laughs, smiles, new challenges, confidence, happiness and the chance to meet people…and this is the side everyone see’s and admires (and the side we thrive off of course), when in truth the other side of the Life of a Fitness Instructor (the side no1 see’s and understands) is full of sweat, tears, nerves, injuries, mental and physical draining, self doubt, fatigue….carrying on when you are sick and having the balls and confidence to stand up infront of a room full of people and be the 1 everyone is concentrating on and looking at when inside you are falling apart….that is the hardest part ever! Its like show business…standing up and basically performing and for that hour (or whatever) putting a smile on your face and forgetting everything. Also Standing up infront of a room of women, who look up to you and feeling a like a big frump in your clothes and feeling like a fraud….even though no1 else in the room feels that way but YOU……thats a toughie too….. Yes I eat “clean” I watch what I drink, but on the same note I am human and we all have slip ups, bad days and days when we are just NOT on track….YES I ADMIT IT IM NOT Superhuman!!!! I make sure I have enough food to fuel my body for what I am doing throughout the day, but being a Fitness/Class Instructor also comes with working unsocialable hours….teaching classes morning, afternoon and evening….which you might be thinking “yeh but I work 9-5” well yes of course but you get structured lunches and breaks……I basically eat when I can! The majority of my classes/clients are morning, lunchtime, teatime….therefore I never eat at the “right” time (not that there is such thing) and sometimes I’ll even admit that I skip meals because of timing and tiredness some nights when I get home 8-9pm and I am physically and mentally too tired to eat or make food (lazy as it may sound, weve all been there) and of course by being this way, again it in no way helps the body. What I will say though it that 80=90% of the time I am spot on, always have snacks, protein shakes, fruit, nuts to hand and try and make food…no matter how tired I am. Take myself for an example (well kinda seems right seens as I am the one who is writing this) I teach 19-20 classes a week, have 3-4 PT clients a week also…..on top of this actual Physical Work….I also train 3-4 times a week (weight training) and practice prancing around and making routines up, pretty physically demanding hey? So you would expect me (according to society and their views) for me to be a size 8 munching on lettuce and having a shake for lunch…and skipping brekkie…..yeh yeh right as if!!!!! If I was a size 8 Id be on a drip and if I didnt eat I would of killed someone by now, these are the misconceptions I mentioned earlier about us Fitness People. In truth….the more classes I teach, the more out of shape I get…YES you heard me right……Us “Aerobic” Instructors can suffer from what Charles Poliquin calls “Chunky Thigh Syndrome” …this is when your whole body has adapted itself to aerobic exercises (due to the enormity of classes taught) to the point where it stores more fat…which turns the body into a fat storing machine and this fat tends to be stored in the lower body..hence the term!!! Yes you may lose weight doing cardio…but you will be you but smaller….hardly any (if any at all) tone to the body…..So as yo can imagine because I teach about 19-20 classes a week, and the majority of them being aerobic based (Zumba, Aerobics, Aqua) and the odd LBT and Tone class, can you now see why the more I teach the more out of shape I get…..but this also applies to the general public who attend “too many” cardio/aerobic based classes a week. I do what I do because I LOVE it, I get such a buzz off helping people, making a difference and getting people to achieve their goals…..but man is it hard going! We have the same body issues as everyone else. We DONT eat lettuce and lick dust. I LOVE my classes and my ladies……. Foam Roller is another name for “Self-myofascial release” and is often called the “poor man’s massage.” Myofascial release is a hands-on technique that massage therapists have been using for years. To achieve this release, a therapist would apply a low load, long duration dragging force across layers of soft-tissue in the body. After a period of time, through some different mechanisms in the body, the body will “release” the tissue and mobility between those sliding surfaces is restored. You will create a “love-hate” relationship with your foam roller, kind of like you might with a Sports Massage Therapist. I know I do…at the time it can be really painful (but saying this you should never push yourself to the point of excessive soreness) but you know in your mind that in the long run and afterwards it’ll be so worth it. Stretching alone is not always enough to release muscles tightness, which is why foam rollers have become so popular. 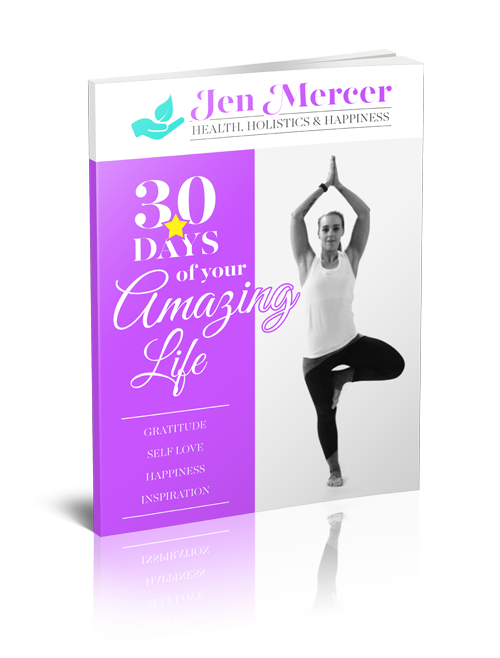 Imagine a bungee cord with a knot tied into it and then envision stretching the cord. This creates tension, stretching the unknotted portion of the muscle and the attachment points. The knot, however, has remained unaltered. After a Foam Rolling session you muscles will feel like they have been worked/released (just like a massage), but as I mentioned earlier it should never be to the point of excessive soreness. Always make sure you drink plenty of water, eat clean and sleep – to help the body flush toxins and repair. The Truth about Sports Products…..FINALLY!! Ok so there was a program on the other week about Sports Products and if they really do everything they claim…in other words “does it do what it says on the tin”?? 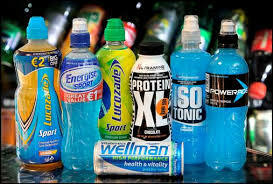 I was under no misconception that the sports fuelled drinks are laden with sugar….but even still the program shocked me. South Africa 1930 was when the first ever “sports drink” was made and since then the drinks have been mainly tested on “Athletes” and not the general public, whom are more likely to buy and it is who the advertisers are aiming at. Last year (2011) £1/4 billion was spent on sports products like this. Whats actually quite scary is that Powerade (alongside McDonalds) are the Official Sponsers for the London 2012 Olympics and there re numerous adverts out there with professional sports people promoting these drinks…they say a lot about “Hydration” and then this of course convinces people “oh yeah I must have this drink…if the athletes say” < but thats the problem…..we are NOT top elite athletes (yeah we are all athletes in our own right….but not to their level) …..what also concerns me is that in these adverts it will have an effect on “kids too” (even though these companies have claimed they are not aiming it at under 16s) as they will see their “heros” and famous sports people drinking these drinks and they will think “OMG I need to drink that and then I can be like that” < clever advertising from these companies…BUT why dont we get more clever and play them at their own game? Powerade has Electorlytes (salt to us) that has NO effect on the body…and also Carbs (in sugar form to us – but they dont always show this on their labels..wonder why) that creates an effect but takes hours to show…and only really shows very little effect…not really worth it! !….oh by the way did you know Powerade is also made by Coca Cola…hmmm says a lot doesnt it. Lucozade Sport next – there is NO evidence to say that these “carb” drinks actually help…..OK OK for Endurance Sports ppl…yeah maybe but for the mass general public…you would be better to avoid and you will be thinner and fitter…dont waste ya ££. In a 500ml bottle of Lucozade (32g carbs) there is 8 teaspoons of sugar!!! Thats 1/3 of the daily amount for kids…..NOT good for energy requirements!! You see people swigging this after a little bit of exercise…it really is not going to help. The Sports Drinks are clever in the fact they say “Sugar Free” and that they are good for you < could it be anymore misleading…they are all artificially sweetened “zero” sugar!! I mentioned about Powerade using “hydration” before…..why are humans the only ones who seem to need to be TOLD to drink? ?…..De-Hydration is NOT a disease…it is a biological response to exercise. In 2010 during the London Marathon a 22yr old Fitness Instructor died from drinking TOO much water whilst completing the Marathon…..and it is said that 1 in 3 people PLAN to drink to much…for fear of dehydration. Now I am NOT saying…dont drink….well avoid any “Sports”Drinks….but what I AM saying is…DRINK FOR YOU….and YOUR THIRST! We are all different and we all require different amounts of fluids…throughout the day….of course we need to be safe and keep hydrated….but to what suits YOU and not everyone else. Remember there is NO evidence (in general public) to show these sports drinks actually work…..you wouldnt buy a car if you werent sure if it was going to start would you??? WATER WATER WATER < it really is all you need!!! Dont be fooled by the “claims” that these sports drinks seem to make…..unless you are planning on competing in the next Olympics in 2016….then I wouldnt waste your money!! !